Soil is our fundamental terrestrial asset. Along with sunlight and water, soil provides the basis for: all terrestrial life; the biodiversity around us; the field crops that we harvest for food and fibre; and, animal products (such as meat, milk, eggs, wool). Soil provides ecosystem services, enables plant growth, resists erosion, stores water, retains nutrients, and is an environmental buffer in the landscape. Soil supplies nutrients, water and oxygen to plants, and is populated by soil biota essential for decomposing and recycling. Soil health is essential for healthy plants and of course, for the humans who consume plants as food. When we ingest plants we consume all the nutrients that are contained within their cell walls. Sadly, many people today consider soil to be an inert substance, merely serving to hold the plant upright! How far this is from the truth. Good soil is alive with activity. It has a diverse nutrient profile and abundant life forms – which are mostly unseen to the human eye. As many as one billion organisms can be thriving in each gram of soil (Agromin USA)! On the microscopic side there are bacteria, fungi, amoeba and protozoa to name but a few soil inhabitants. And then, there are critters like earth worms, beetles, spiders and millipedes which can be more easily observed. All the processes of these little critters helps to create an ideal environment in which plants can thrive. This environment cannot be well simulated by chemical agriculture – it is a natural process! When soil is alive with micro-organisms, research tells us that plants are happier and healthier. This is because these small creatures assist the plants in numerous ways. One major example of this is the way the soil life makes micro-nutrients available to plants. If soils are devoid of living organisms, then much of the nutrient that might be within the soil cannot actually be taken up by the plant. The root system of the plant relies on the micro-organisms to supply it with food. And conversely, the plant provides food to the micro-organisms through its root system. It’s a symbiotic relationship. Soil organisms also help to oxygenate the soil, making life possible for plants and other small critters who call the top-soil their home. Plants need to eat, drink and breathe – just as we do! If the soil is too compacted (little or no air pockets) – then plants will wither or die. Soil needs sufficient oxygen to feed both micro-organisms and plant life. Air in the soil also helps to displace water, preventing plants from drowning when there is too much rain. The primary role of soil life is to promote the break down of organic matter on the surface, such as leaf litter, fallen trees and branches and dead animals. The soil organisms feed on this organic matter and slowly break it down, turning it into magical stuff called ‘Humus’ (NB. this is not the Greek dip known as Hummus). Humus is a rich brown-black, soft and light textured material – it is organic matter that is stable and cannot be broken down further (Wikipedia). Humus is what is created at the end of a composting process. In nature this happens without human intervention and is responsible for all the top-soil that has ever existed on the planet. It takes micro-organisms about 3000 years to make 6 inches of top-soil. Current chemical-agricultural practices are destroying more an inch of top-soil every 28 years (Agromin). This is not a sustainable ratio. When plants are grown naturally in healthy soil rich in organic matter (humus or compost), they have been shown to develop through more complex stages than when grown through the forced process of chemically enhanced agricultural practices. Essentially, what this boils down to is that these plants produce complete carbohydrates, lipids and proteins and more secondary metabolites. Forced production creates a plant that is higher in simple sugars or starches. Complete proteins, carbohydrates and lipids are of course much better for our health. 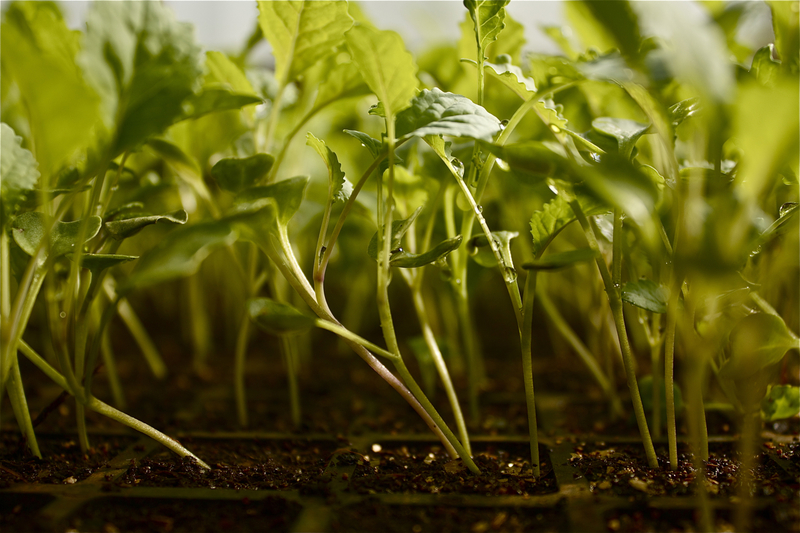 Secondary metabolites are produced by healthy plants and operate much like our immune system, helping to keep the plant disease free and ward of pests naturally. Many of these secondary metabolites also turn out to be critical for supporting our immune system. Everyone these days knows about anti-oxidants and flavonoids – well these are both secondary metabolites. There are many others and we shall write more about them in upcoming articles. For several years now, we have been working hard to improve the condition of soil on our farm. 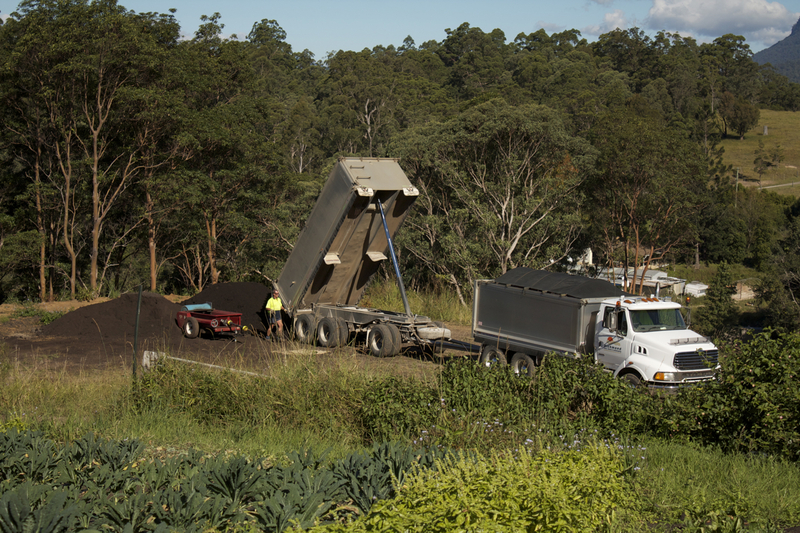 We take advantage of a product from the nearby city of Lismore. They have a green waste recycling program which creates beautiful humus or compost and we have been adding this to our soil in order to increase soil biology and overall soil health. The compost is 100% organic, and works immediately to improve soil, which would otherwise take years to build naturally. We are gradually working towards making our own compost on the farm, effectively recycling our own green waste and reducing fuel required to truck in compost from off-site. But for now, with our small staff, this is an eloquent and sustainable solution. For us, the results have been staggering. We are pleased to say that our soils are happier than ever before. For example, the improved quality of our soil has enabled Summit to grow a wider range of vegetables, for longer seasons, with fewer pests and disease. Better soil health has also vastly improved our recovery from periods of high rainfall. Our pH and micro-nutrient levels have improved radically and soil biology is abundant and varied. On a micro-level, we also trust that if our soils and plants are healthier, then our produce is healthier than ever before too!